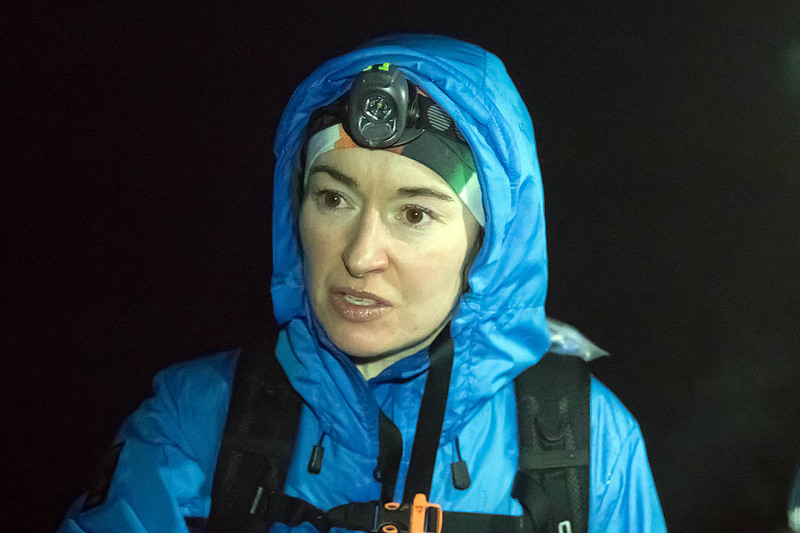 Carol Morgan has reached the finishing point of the gruelling Montane Spine Race to take the women’s title and the event record. The Dublin runner, now based in Leeds in West Yorkshire, smashed the female record for the 420km (268-mile) course along the length of the Pennine Way national trail. She arrived at Kirk Yetholm in the Scottish Borders in a time of 109hrs 54mins, taking joint sixth place overall. The veteran of the Ultra-Trail du Mont Blanc led the women’s field from the early stages of the race, which began at 8.30am on Sunday. For most of the race Morgan, an advanced practitioner in emergency medicine, ran in close company of Paul Nelson. The pair finished together late on Thursday. The previous record for the race, dubbed Britain’s most brutal, was held by Debbie Brupbacher, with a time of 153hrs 17mins, set in 2014. Incredibly, Morgan ran the course 1¾ days faster than the record. As the winner finished, Canadian Helene Dumais was running in second place approaching Hadrian’s Wall, a few kilometres ahead of Gabriele Kenkenberg of Germany, with fellow countrywoman Yvonne Lehnert fourth, and British runners Sarah Fuller and Clare Holdcroft in fifth and sixth place in the women’s category. The Montane Spine Race was won by Briton Tom Hollins who overtook second-place Pavel Paloncý of the Czech Republic, and Spaniard Eugeni Roselló Solé, who took third. Hollins decided to forgo sleep at Byrness to keep his lead over the pair, who had been at the head of the field for much of the race. John Knapp of the UK and Swede Johann Steene were in close contention behind the lead trio and finished together in a time of 108hrs 48mins, just a minute ahead of Morgan and Nelson. Hollins’s efforts took their toll and by daylight on Thursday he was reduced to walking into the finish. He was sound asleep almost as soon as he sat on a Border Hotel sofa. He has never run such a distance before and two races this year selected for practising sleep tactics both ended in him not finishing. 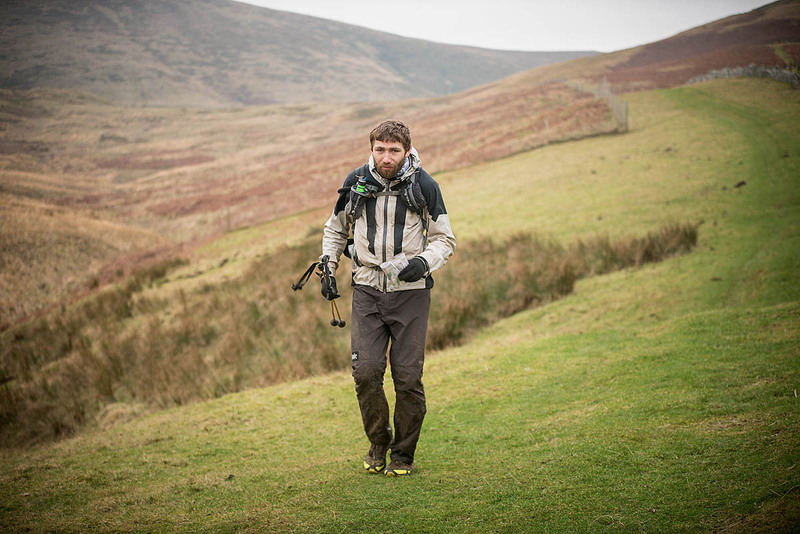 Though he had reccied the whole Pennine Way, record-holder Eoin Keith complimented his navigational skills. The race is continuing, with runners having until 8.35am on Sunday to complete the course. So far, 40 competitors have dropped out, and the tail-end of the field is brought up by four runners at Alston, Phil Clarke, Gerard Bareham, Benjamin Light and Peter Gold. What about Beth Pascal in 2015 with a time or just over 90 hours in 4th place? The 2015 results are not regarded by organisers as official records because the event was subject to forced stoppages and diversions because of severe weather. See our Montane Spine Race preview for details: http://bit.ly/2jNyW6y. Beth's elapsed time in 2015 including those enforced stoppages was actually over 129 hours. Some of this was made up of waiting at checkpoints for a change in the weather, but anyway it is very difficult to compare times year on year due to the vastly different conditions. This year was certainly mild but was also boggy. Both women are an inspiration, and it is great to see them competing at the front of a race like this.